No matter what your home style is, the focal point of any living room is often the home media center. This is where you entertain your friends and loved ones. You have your movie nights or invite people over to enjoy the latest Game of Thrones episodes. Are you desperate to replace your old dinky TV stand? You need the right entertainment center to achieve your home theater party goals! Picking one can overwhelm you though; there are just too many styles and categories to choose from! Where do you begin? We understand the struggle. Here is a brief guide to help you choose an entertainment center and audiophile furniture that is perfect for your home and your entertaining goals. Start with a goal in mind: What is your entertaining goal? Perhaps you bought a giant flat screen and are now wondering what kind of entertainment center would look great with it. You are looking forward to hosting game night so the flat screen is a must, but what about everything else that goes into it? Your television is not just screen. In fact, most standard home theatre systems come complete with supporting audio equipment and speakers. A wall mounted entertainment unit is what you need. It not only comes in chic designs but it’s practical and offers you varied functionality such as storage. When you need more storage and protection for your home equipment – think of armoires. Rather than mount your to a wall you simply sit it on top of the armoire. An armoire with a closed cabinet for TV storage is known as a TV-Armoire. While the wall entertainment center takes up horizontal space, armoires are tall, so you can easily put them in places to fill vertical spaces. Side-by-side media centers are rather popular. They often feature open panels with glass doors to protect your television and other audio equipment. If you want to display your favorite belongings, such as photos, books, trophies, and other decorative accessories, a side-by-side unit is a great choice. You can use the bottom drawers for storage. If you have a medium-sized flat screen, say 36 inches, then a side-by-side entertainment center would be a suitable fit. If you want avoid distractions from the cabinets or open panels of any other entertainment center, you can use a hidden wall-mount fixture anyplace in your home. These are almost always fixed in the bedroom, but if you want it in the living area, then you will need a television stand to store all your media accessories. Custom audiophile furniture is a good start. Contemporary TV stands are sophisticated and have a minimal design and color tones. Traditional TV stands are made of solid wood replete with crown molding and carved legs. Modern TV stands can be metal or glass, minimal and state-of-the-art. Rustic TV stands are made of lighter woods and have distress details. Industrial entertainment centers have no cabinets and offer open design featuring sharp lines and metal. Mission-inspired stands are open and made from hardwood with a rich finish. You want your entertainment center to fit in your room. You also want your unit to be fully functional. If you have a large space, a large entertainment center makes sense. But a large center will not balance with a small TV that you may already have. If you already have a TV, measure it for height, weight, and length – with the frame. If you have a large collection of CDs or other home theatre tech, you may need more storage racks and shelf space to store your other items, like books or decor accessories. When planning to purchase a home media center consider your space and current decor. 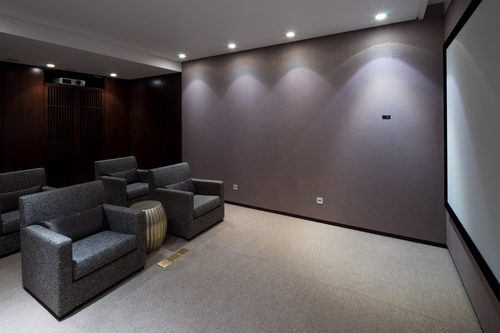 Considering what you already have in the space can help give you a rough idea about how the size of your future media center. Keep your space balanced and aesthetically pleasing. You should also consider color, design, and quality. 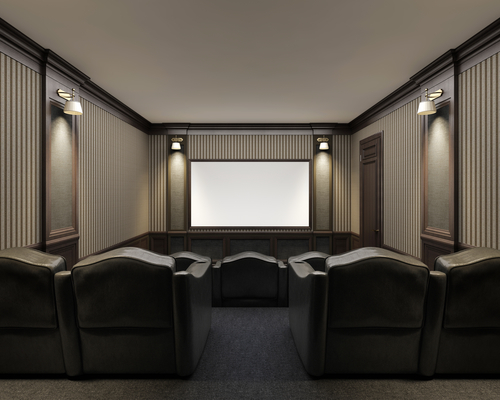 Perhaps a custom home media center is right for you. Learn more. Contemporary entertainment centers often feature a lot of glass and metal. Their design is clean and sharp, unlike the ornamental decorative, traditional units. If you have a classic home or furniture that is already leaning toward traditional design, consider wood entertainment centers. 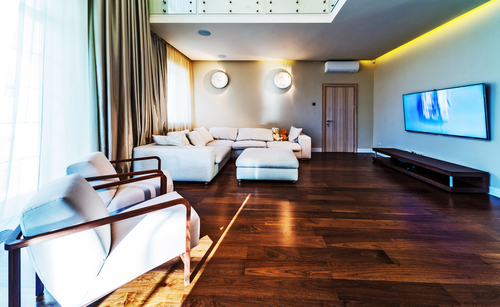 You can choose from many types of wood, such as maple, cherry, or oak. 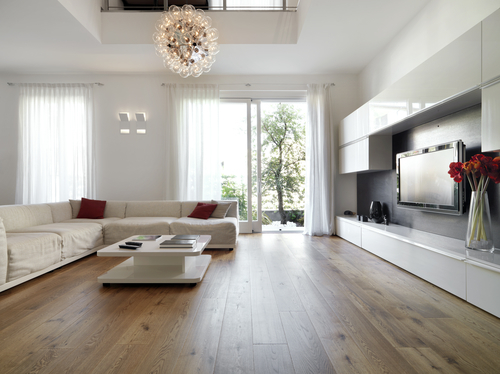 Hardwoods last for generations and can easily become family heirlooms. 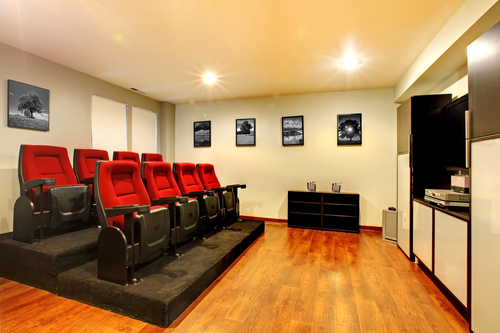 Choosing a home media center can be overwhelming. Our design team can help you determine the best media centers for your space as well as propose custom designs built to meet your particular needs such as hidden storage. Contact us today for more information.